You need to use your hands all day long. Most detergents used in daily activities such as soap, detergent, dishwashing liquid, toilet water, and some soap for washing machines have high bleaching content. They damage the durability of skin cells and cause you to have cracked hands. This situation causes you a lot of pain and discomfort. Your daily activities are interrupted as well. Therefore, treatment is always a top priority for you. In this article, we will help you by providing home remedies for cracked hands. You can do them right in your home because they are very simple, safe and effective. But first, find out some information to determine your problem. Hands are often exposed to many factors around, especially the hands of the manual workers or housewives. For them, the cracking of the hands is usually caused by allergens to the detergent. However, cracked hands may also be a sign of dermatitis plantaris sicca.Dermatitis plantaris sicca is a term for describing dry skin, cracking, and peeling of the hands and feet. It usually occurs in the winter, so it is also called winter dermatitis.However, this term is currently not used to diagnose the disease. This may be one of the manifestations of dermatitis – a fairly common skin disease. This disease is persistent and recurrent. You will need a lot of time and perseverance to cure this disease.If hygiene is not maintained, the patient is susceptible to secondary bacterial infections that cause inflammation. The affected skin areas are also susceptible to infection or fungal infections. Depending on the circumstances, the disease can only be seen on the hands or feet, but may also occur simultaneously in both places. Dermatitis plantaris sicca is a fairly common skin condition, which can occur in many different skin areas, but most clearly in the hands and feet. The skin in these areas often becomes dry and cracked, causing pain. In the summer, the affected skin is itchy. You may notice blisters there.In winter, the cracks become more severe. The affected skin is cracked. Cracks may bleed, causing pain. Dermatitis plantaris siccadoes not seriously affect your health but causes inconvenience to you in your daily life.If not treated early, the risk of severe recurrence is very high. What Are Common Causes Of Cracked Hands? People with cracked hands are often associated with inherited infections from their grandparents and their parents. This is one of the potentially pathogenic factors that people should be aware of to avoid early. Cracked hands are also associated with the abuse of certain drugs that cause the disorder of the formation and regeneration of cells under the skin. Some medications often cause side effects that are not good for the body, so when taking any medication, you should be highly alert. Hypersensitivity in some people causes them to have multiple allergies when exposed to a number of environmental factors. This causes the bacteria to grow, causing cracked hands and feet. Some of the typical environmental factors that cause this condition are dirty water, weather, dust, and cats feathers. Besides, the increasing environmental pollution causes high risk of cracked hands. In addition, dry weather as well as low temperatures will make the disease more severe. The disease will grow faster and cause more irritation. In some people, due to work requirements, they often have to contact with the chemical environment such as detergents, gasoline, lubricant oil, environmental contamination. These are factors that can easily damagethe skin and increase the risk of the disease. In people with dry skin there is a high risk of getting the disease. This is one of the determinants of disease formation. Therefore, people who have dry skin should be alert to prevent it early. If you do not care and cleanse the affected skin area properly, infection in these skin may occur. This is likely to cause cracked hands. In fact, the majority of patients with this disease eat very little fruit and vegetables. Lack of vitamins, especially vitamins A, C, D, E will affect the quality of the skin. This makes them more susceptible to cracked hands, and the condition is also aggravated. What Are Common Symptoms Of Cracked Hands? The fingertips, toes or heels are thicker than normal. These layers are yellow. Cracked hands can happen to anyone. However, restaurant staff, cooks, housewives, nurses, and housekeepers are the most at risk because all themusually have to expose to detergents. You can control this disease by minimizing risk factors. See your doctor for more information. When there are signs of the disease, you should see a doctor for a direct examination. They will determine your exact condition. In addition, if your condition becomes worse after a period of treatment, you should also see a doctor. The delay in this case will only cause your cracked hands to bleed a lot, causing more pain. If you have any of these signs or symptoms or have any questions, please consult your doctor. The condition of each person is different, so consult your doctor to select the most appropriate option. Here is the basic information about cracked hands that we think you need to know. As we say above, the treatment of this condition needs to be done as soon as possible. Below, we will introduce you to home remedies for cracked hands. 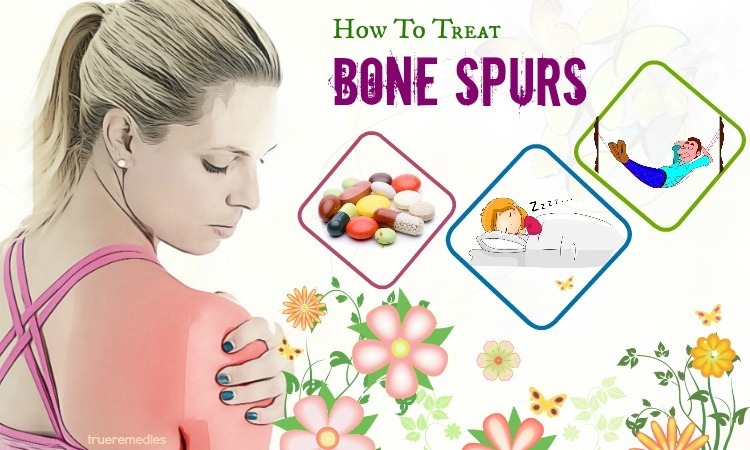 Many people have successfully treated this condition by applying these home remedies. Therefore, you can rest assured about their safety and effectiveness. 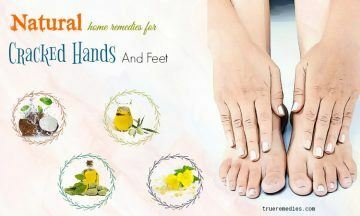 It is time to find out what the best natural home remedies for cracked hands and feet are. Take a look at TrueRemedies.com! 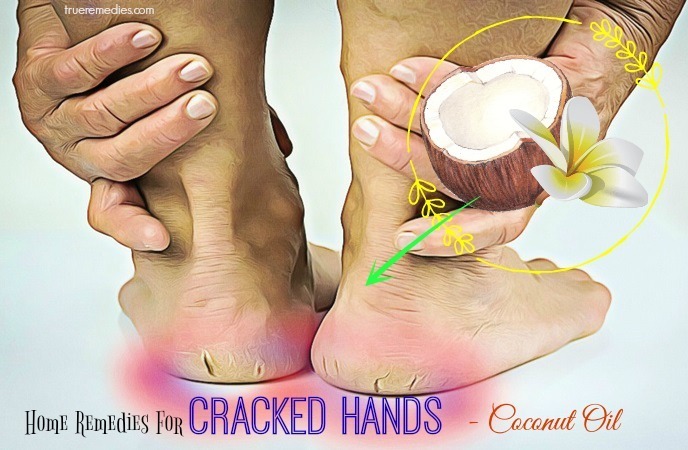 Among home remedies for cracked hands and feet, using coconut oil is one of the most effective. 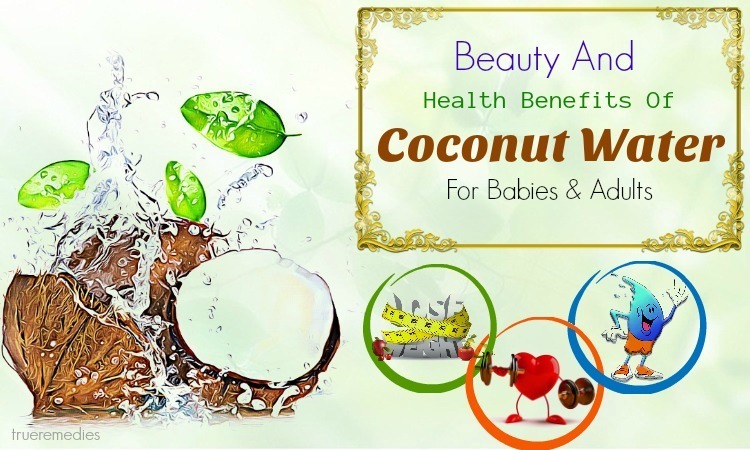 Coconut oil has long been studied and widely used in skin care and beauty. With high moisturizing properties, coconut oil helps to soothe damaged skin, reduce skin flaking and irritation. Coconut oil has the ability to deeply penetrate the epidermis of the skin, helping to prevent the development of the disease. Studies have shown that coconut oil is rich in beneficial enzymes such as antibacterial, antimicrobial, anti-fungal, and antioxidant that heal skin damage and fight off irritating bacteria. The abundant vitamin E and fatty acids in coconut oil have strong antioxidant properties, which prevents cracked hands and feet. At the same time, it also provides a large amount of nutrients to nourish skin cells, moisturize and regenerate new skin, and improve dry and cracked skin. The substances in coconut oil also help this kind of natural oil to be considered as a natural antibiotic with bactericidal effect. If you apply this remedy in the evening, you can leave the coconut oil on the skin overnight and remove them the next morning. Using coconut oil to massage the affected skin areas for 1-2 days is a good way to treat this condition. Coconut oil is very benign, so you do not have to worry about irritation when using it. This is another must-try home treatment in this list of home remedies for cracked hands. Olive oil is natural oil extracted from the olive. It is derived from the Mediterranean. It is often used in cooking, cosmetics, pharmaceuticals and soaps. The prominent effect of olive oil on skin is its moisturizing properties, mainly due to its essential fatty acids. Olive oil also has an unsaturated fat content and natural antioxidants such as vitamin E, carotenoids, chlorophyll, polyphenols and hydroxytyrosol. The anti-inflammatory properties are also a highlight of this natural oil. Like vitamin E in coconut oil, vitamin E in olive oil can also restore the natural oil balance of the skin, helping the cracked skin to regain the moisture needed. Cracked hands sometimes make you feel very itchy. Olive oil can help you get rid of this. Vitamin D, E, and K as well as beta-carotene and acids in olive oil help keep the skin smooth and strengthen the immune system to prevent infection. 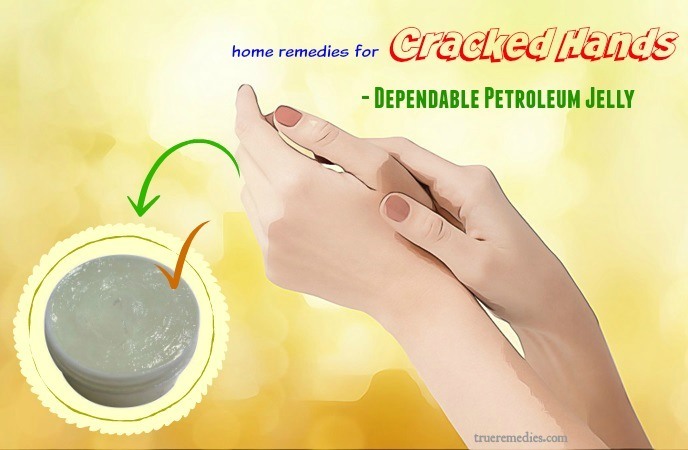 Therefore, this natural oil is widely used to treat cracked hands. Not only that, essence in olive oil contains many antioxidants which help increase the elasticity of the skin and eliminate the skin peeling caused by cracked hands. Please apply this remedy 1-2 times a day, especially before going to bed, to get the best results. You can also leave the olive oil on the skin overnight. This remedy is one of little – known home remedies for cracked hands. Garlic is a familiar ingredient in the kitchen. However, few people know that garlic is also used to treat cracked hands. Many studies show that garlic contains active ingredients which have antiseptic and anti-inflammatory effects. Diallyl sulfide, S-allylmercaptocysteine and ajoene in garlic inhibit the production of lipoxygenase – an enzyme that combines with arachidonic acid to cause cracked hands and feet. The level of selenium and vitamin C in garlic also increases the body’s resistance, making the skin healthy. Do not leave garlic juice on the skin for too long as this will cause the skin to dry. Apply this remedy 1-2 times a day until the condition of cracked hands is thoroughly treated. 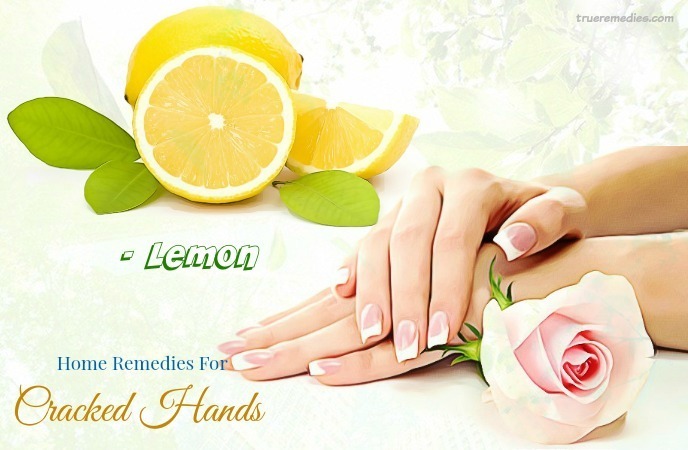 The next treatment in this list of home remedies for cracked hands is using lemon. While billions of dollars have been poured into research and development of medicines, scientists have shown that lemon juice can alleviate and even cure many diseases, including cracked hands. Many people already know that lemon has therapeutic benefits such as detoxifying the body, boosting the immune system, and reducing the effects of free radicals. Besides, due to the natural antiseptic properties, lemon juice can be considered a good remedy for cracked hands. It helps you to eliminate the risk of infection when your skin is damaged. The natural acid of lemon will neutralize the bacteria that cause cracked hands. Not only that, L-Asorbic Acid – the citric acid ingredient mainly in lemon juice will help you exfoliate dead skin cells and encourage the growth of new cell layers. As soon as you notice the signs of cracked hands, apply this remedy. Just 1-2 times a day, after a short time, your condition will be improved or treated completely.If your situations are severe, you should not apply this remedy, because the acidity in lemon juice can cause you pain. It sounds too simple too be true when it comes to home remedies for cracked hands, but it works. In addition to its effective anti-aging effect, Vitamin E also has another benefit that few know: moisturizing. Vitamin E oil acts as an antioxidant and moisturizer, and is highly effective in healing cracks and dry skin. Vitamin E is extremely safe especially with sensitive skin. Therefore, you can rest assured when applying this remedy. Please apply this remedy 3-4 times a week to get the best results. Note: This oil could be greasy and thick, so it is best to resort this oil before your bedtime. Sometimes, vitamin E capsules are prescribed to cure extreme dry skin. You can easily find it in local pharmacies and a vitamin E capsule could be consumed every day or as directions of physician to help relieve symptoms of cracked hands. For adults, 15mg of vitamin E is enough. Despite they do not instantly treat this problem, but steadily fix the root cause and arrest it from occurring in the future. 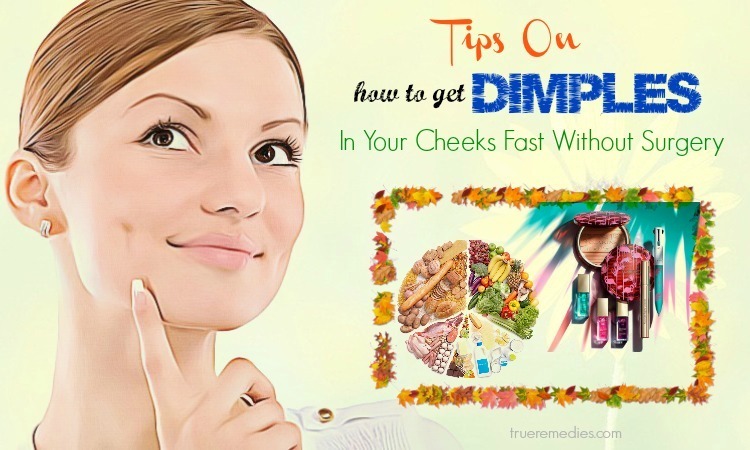 You should take it before the arrival of winter when the problems related to dry skin troubles the most. Furthermore, vitamin E capsule can work most effectively when their consumption is combined with using vitamin E-nourishing lotions and creams. However, if you do not want to rely on the synthetic source of vitamin E as a capsule, you can consume foods rich in vitamin E, including vegetable oils, fortified cereal, nuts, sunflower seed, turnip green, pine nuts, tomatoes, wheat germ, peanut butter, and avocado. However, remember that excessive intake of vitamin E supplements might also come with certain health issues like headaches, gastrointestinal distress, and bleeding complications. Therefore, it is better to consult your doctor before taking this supplement. Sometimes, cracked hands or dry skin is combined with weight gain, brittle nails, or thinning of the hair, which are indications of a chronic disease like hypothyroidism. Thus, you should talk to your physician if your symptoms still persist. This is one of the little-known home remedies for cracked hands. Dr. Christopher Ochner once said on WebMD that “green tea is the best drink for health.”We all know that green tea has a lot of antioxidants. The ability to remove bacteria is one of the highlights of green tea. According to a study published in the journal Food Technology, green tea contains other antioxidants called catechins. These catechins, especially epigallocatechin gallate (EGCG) and epicatechin gallate (ECG), can inhibit the growth of many bacterial species. The catechins bind together to form a membrane that surrounds the bacteria. By infecting the outer layers of the bacteria, EGCG and ECG prevent bacteria from spreading the disease. Therefore, green tea is a great suggestion for you. You do not need to rinse your hands with water. Persist this remedy every day, your cracked hands will be treated, besides, you will own white and smooth hands. The next one in this of home remedies for cracked hands is applying moisturizer to the hands. This is the most important way to heal cracked hands because dry skin is the cause of this problem. You should use appropriate moisturizer to moisturize the skin as well as prevent dryness and cracking of the skin. There are many moisturizers on the market. Although advertised as dedicated for dry skin, some moisturizers still cannot cure skin cracking and prevent skin damage. You should use a suitable moisturizer to maintain the natural moisture inside your skin when it is dry and seriously cracked. The natural moisture of the body is essential for living cells to grow from the bottom up and to gradually replace damaged, dead skin cells and skin lesions. The upper cell layer itself protects the underlying cell layer, but this role is limited if the cells are damaged. So, you need to use moisturizer to maintain the natural moisture of the skin. Therefore, to speed up the treatment of cracked hands, you should apply this remedy daily. Use mild soaps: Soaps that contain strong chemicals will make your hands rough and cause your condition to worsen. Use warm water to wash your hands: Hot water will lose more natural oils, thus making skin dry more severe. You should use warm water to wash your hands. Wash your hands gently: Do not rub your hands with a towel. Instead, help dry hands by patting. Apply moisturizer immediately after hand washing: Skin will lose moisture when the water vapor from the skin. Using a moisturizer will help moisturize the skin and prevent evaporation. Petroleum jelly has been used to lessen dry skin conditions for a long time. Therefore, it is no wonder that this substance can help you relieve cracked hands. The American Academy of Dermatology showed that petroleum jelly could prevent and heal chapped, dry skin, prevent chafing, and moisturize cracked, rough skin. You can apply petroleum jelly to your clean hands to lock in moisture. Before your bedtime, apply a large amount of it to your hands for soft, smooth hands in the morning. Also, wear cotton gloves to keep the moisture in and prevent petroleum jelly from staining your clothes. Paraffin was shown to moisturize chapped, dry hands. Anne Williams has said in her book named “Spa Bodywork” that paraffin treatments could coat the human skin and help in trapping heat and moisture. They make your skin feel supple and soft, even helps in increasing blood circulation in the hands, thereby lessening painful conditions like arthritis. Despite there are some paraffin treatment kits that you can try at home, you should get a treatment at a professional salon. It will be easier and less messy for you. also, you do not have to spend too much time on preparing the wax, which may take a few hours. For those having cracked hands, using cornmeal can solve their problems easily. The experts from MayoClinic recommend cracked hand sufferers try evening primrose oil. You can find it over the counter. 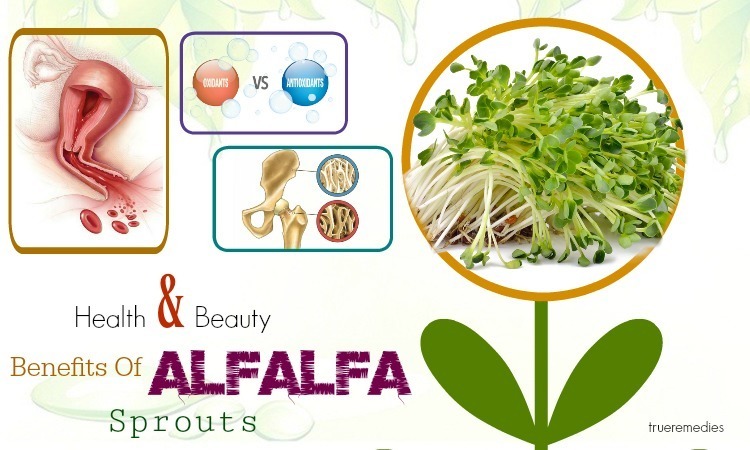 It can restore the fatty acids levels which are necessary to keep the human skin smooth and soft. Also known as Besan, Bengal gram flour is another effective among home remedies for cracked hands mentioned here. It could be used for different things, not to mention coating pakodas, like treating acne, removing discoloration, and adding glow to your skin. If mixed with curd, you will have a solution for rough and dry hands. Mix them to have a paste and apply over your hands. After 15 minutes, wash it off. You will soon feel your hands become softer and smoother. To have supple hands, you can mix butter and almond oil together. The butter will lubricate your skin which the vitamin E in almond oil will decrease your wrinkles and fine lines. If possible, light cotton gloves should be worn throughout the day. Cotton gloves help prevent further cracks. You should apply moisturizer before wearing gloves. If the time to wear gloves is limited, you can wear them at the evening before going to bed to prevent moisture evaporation on the skin, keeping the skin moist. Besides, wear rubber gloves when washing dishes or using detergents. This is the last remedy in this list of home remedies for cracked hands. We always know that salt has the ability to kill bacteria very well. However, to treat cracked hands, you need to stay away from salt. Remember not to soak your feet and hands with salt water. Salt water can dry the skin, making the skin crack deep and deep. Also, be careful when handling contact with nickel plating and leather products such as leather shoes. Here are the home remedies that we would like to introduce. 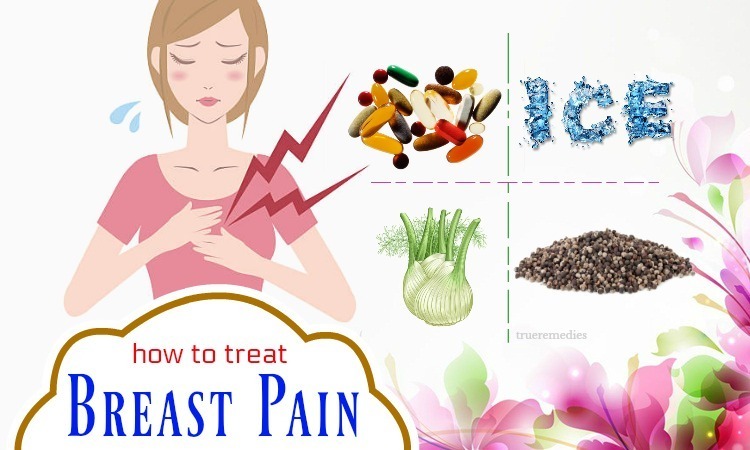 Apply them as soon as you notice the signs of the disease to get the best effect. Hope that the information above can help you solve your problem quickly.If you have any contributing ideas about our article of “Top 17 Natural Home Remedies For Cracked Hands And Feet” introduced in Home Remedies Category, do not hesitate to drop your words below this post. We will answer as soon as we could.